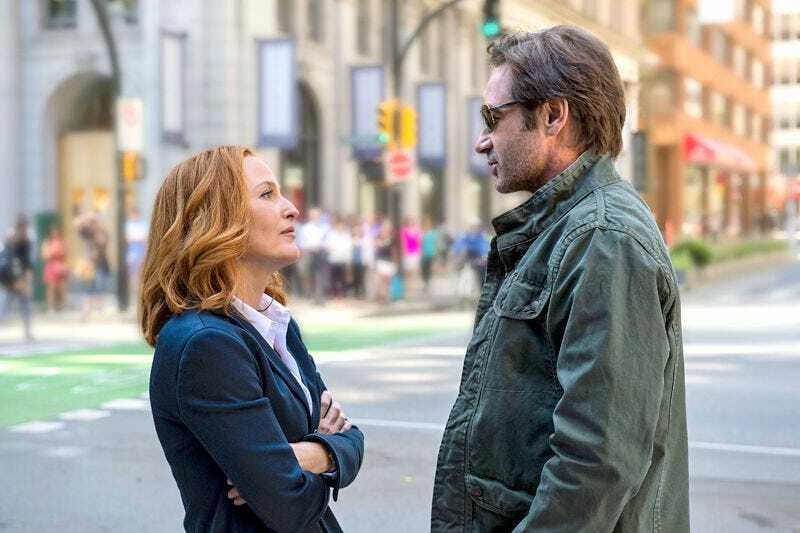 Look, the X-Files revival season was incredibly rocky. It had one high, a couple of lows, and mostly some mediocre middles. It was a cash grab based on nostalgia and, yeah, we watched it. But don’t try to defend it. I actually think that the season, the six episodes, were strong. We worked hard with [creator Chris Carter]. The episodes represent Chris and his team’s vision. Everybody reads what they read, but if we have the opportunity to do more episodes, we will take our cue from Chris and his team and I think that there was some very strong work the previous season and we look forward to more. Oh god, please do not take your cue from Chris Carter. Carter is the worst part of the X-Files team. His episodes in the revival were the worst ones. The best one was from someone else who wasn’t trying to make sense of the mythology. He should get all the credit in the world for creating the show and assembling this staff, but, in terms of writing, Carter is not the way to go. I would just add that the show was off the air for a very long time and was introduced to a variety of new viewers. There was still a lot of time to cover in these six episodes so they had the challenge of filling in the mythology and explaining where the characters were and how they got to where they are at the start of the six episodes. I think going forward there won’t be the same obligation to reset the series, but I will tell you that on our social platforms, the chatter is overwhelmingly positive and the fans want more episodes. Yes, because the mythology was always a mess. When there were a lot of episodes, it was easier to hide. If they keep making short seasons, they’re going to keep running into this problem. Also, the reason people want more episodes isn’t because these six were good. It’s because we love these characters and we want to see them come back in good episodes. We’re going to keep asking you to try. Madden concluded by saying, basically, that it was all fine because even though some reviewers didn’t like it, some did: “I did read some negative reviews and I also saw some glowing reviews. So, like with most shows, I thought it was very mixed.” The whole show was mixed. Learn from your mistakes if you’re going to do this again. Which, of course, Madden claims they are “working hard” to do.